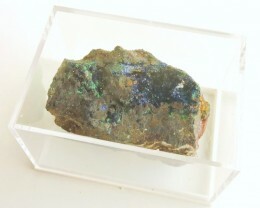 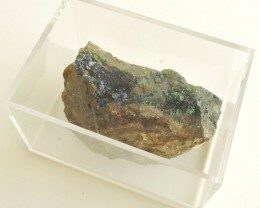 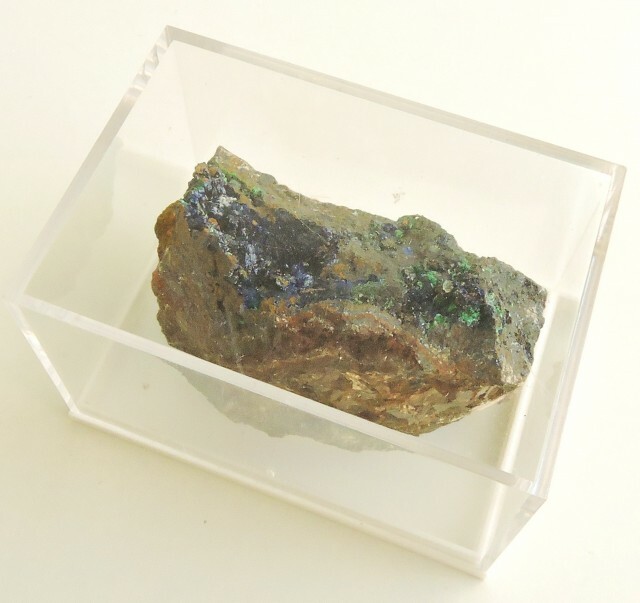 WONDERFUL SPARKLING DARK BLUE AZURITE CRYSTALS ALONG WITH GREEN MALACHITE MOUNTED IN A PLASTIC DISPLAY CASE. 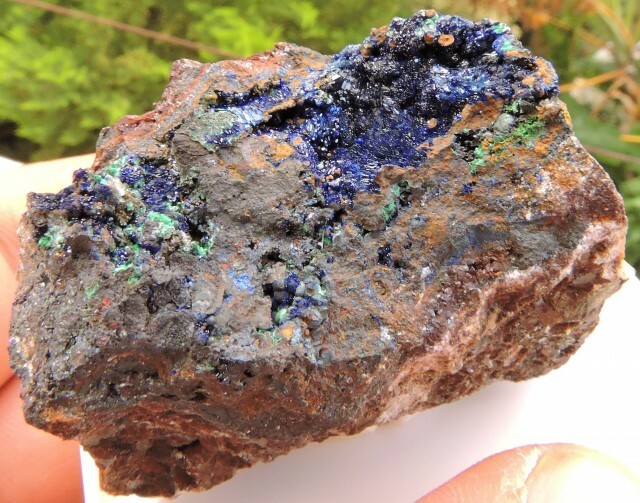 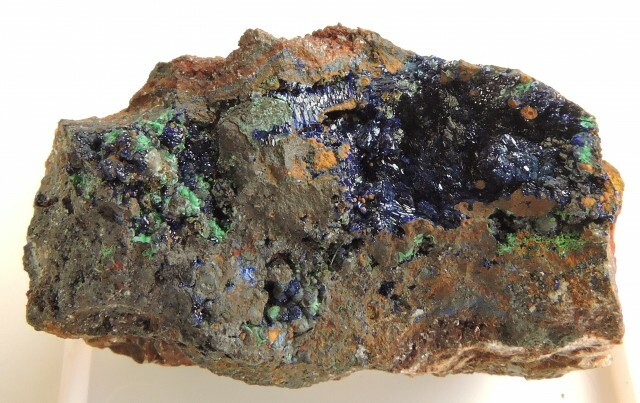 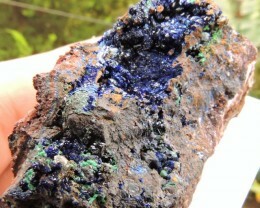 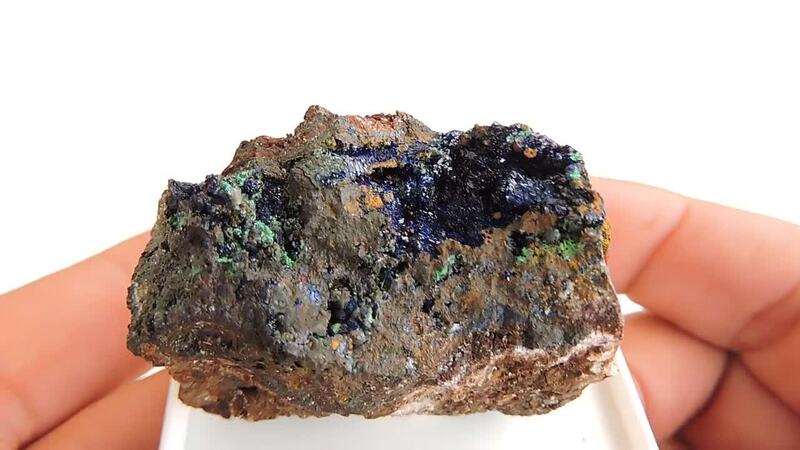 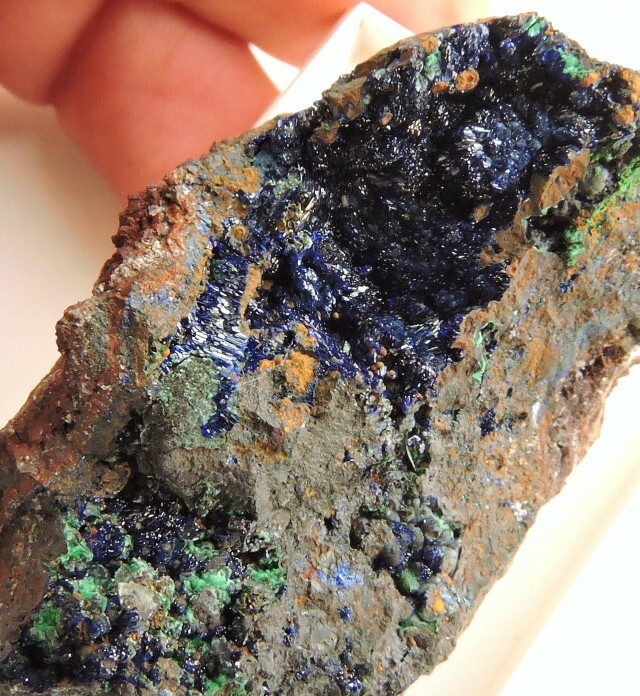 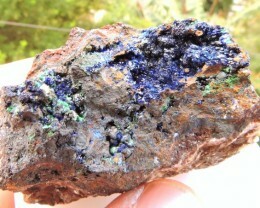 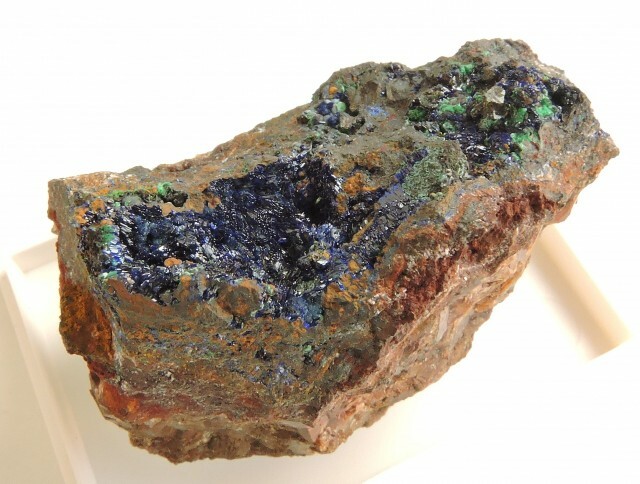 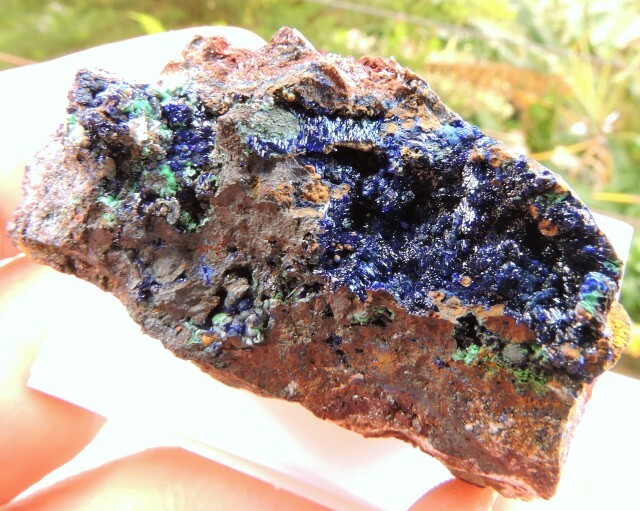 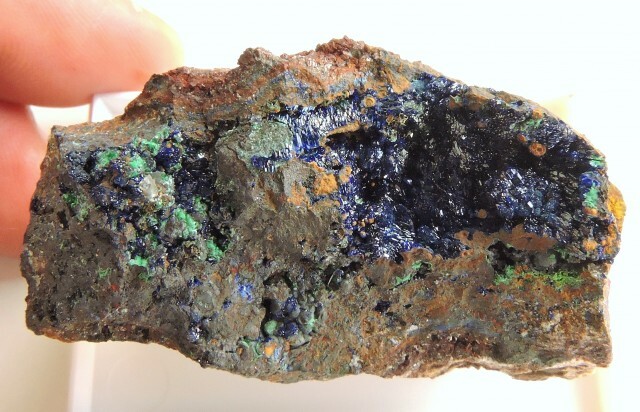 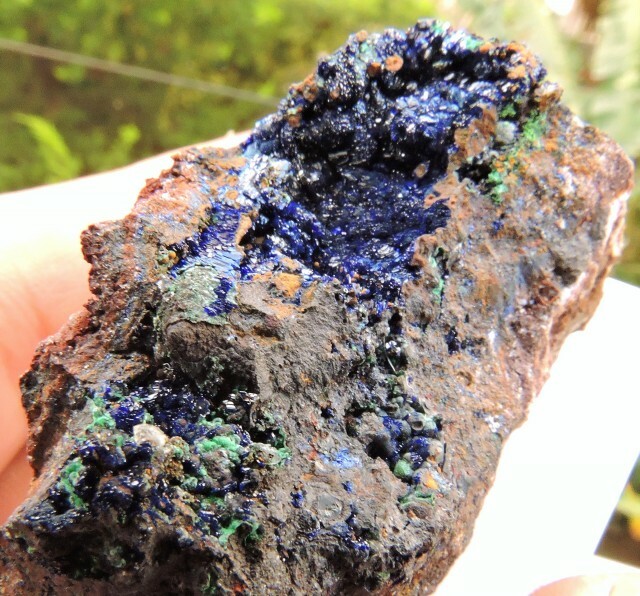 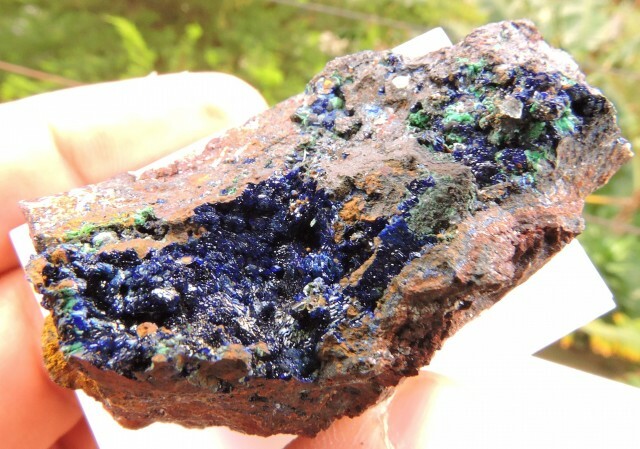 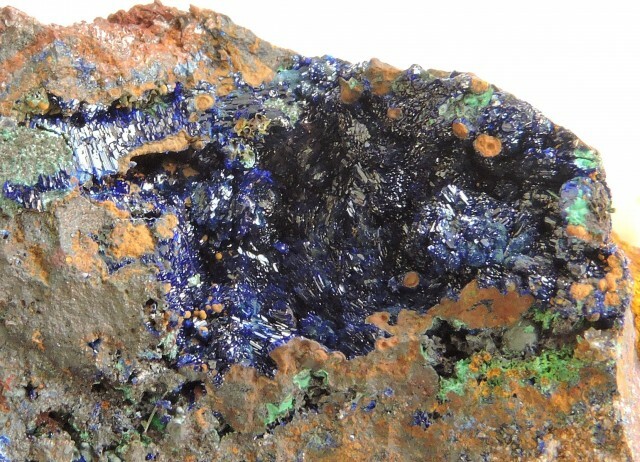 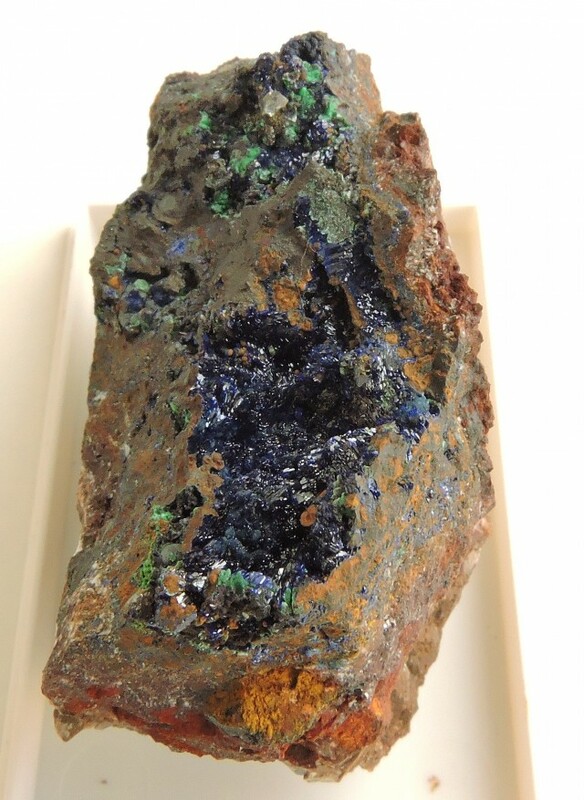 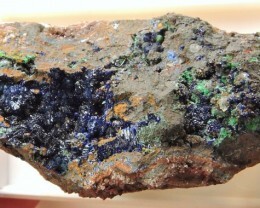 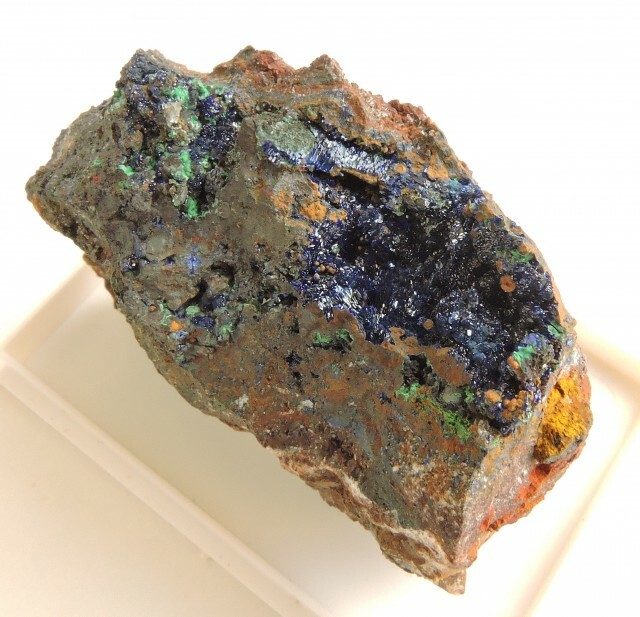 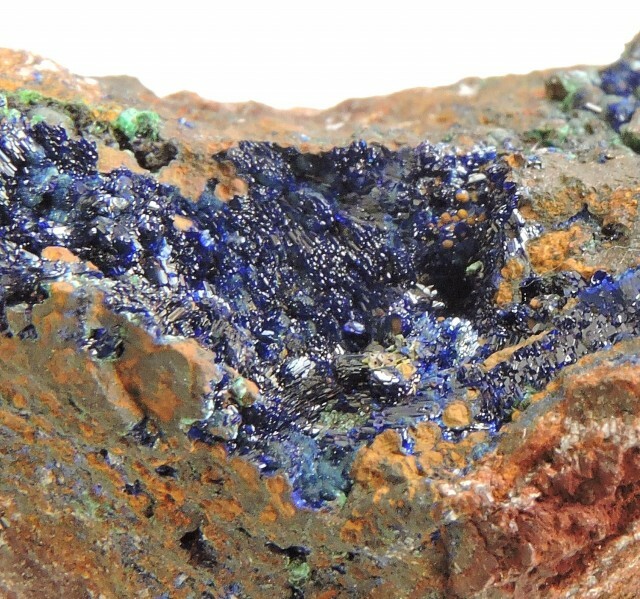 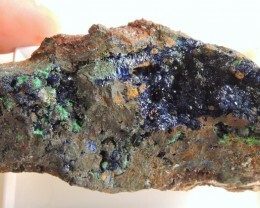 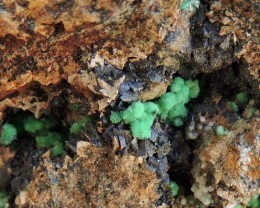 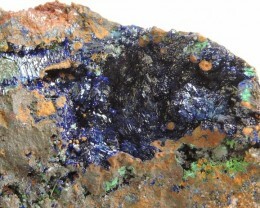 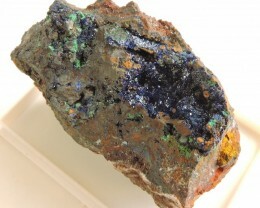 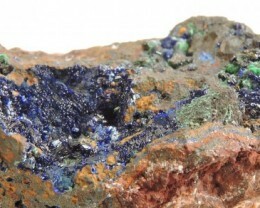 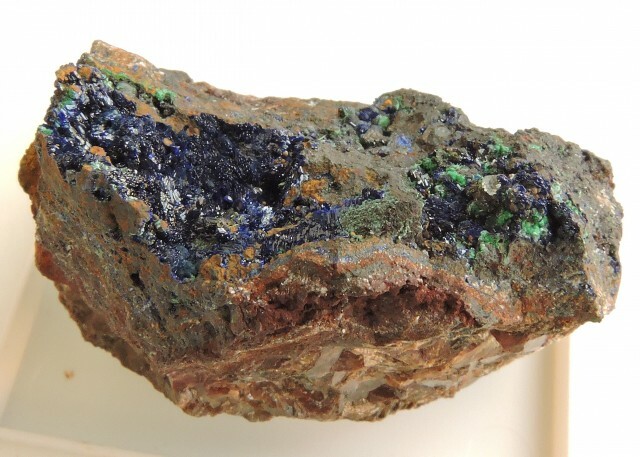 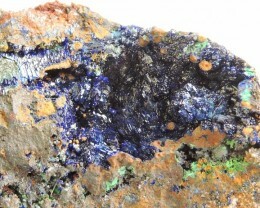 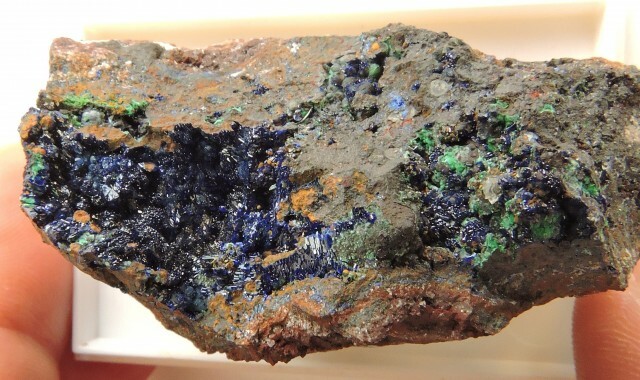 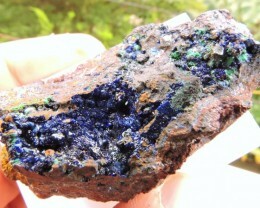 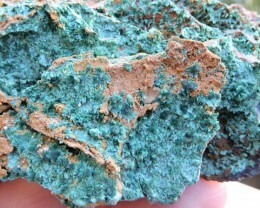 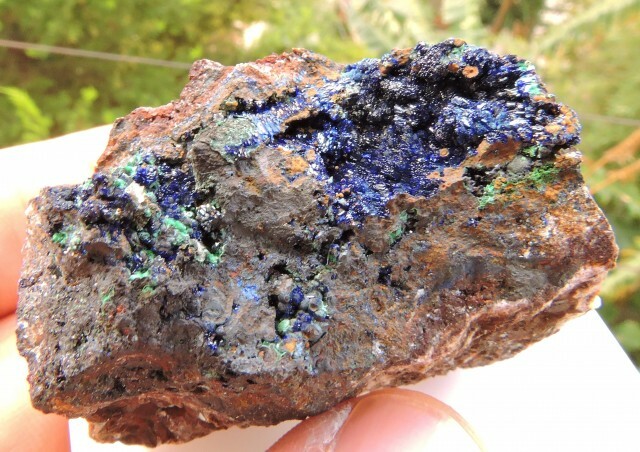 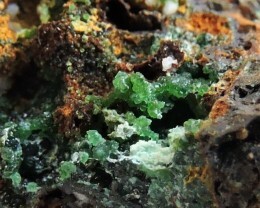 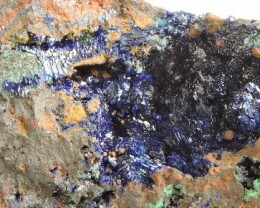 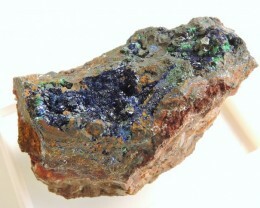 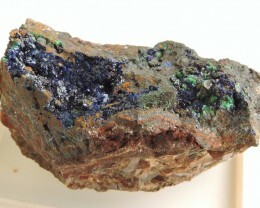 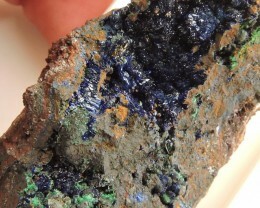 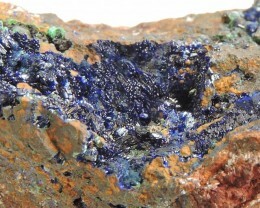 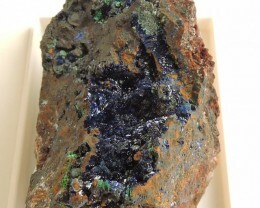 A WONDERFUL EXAMPLE OF AZURITE/MALACHITE FOUND IN LAVRIO. 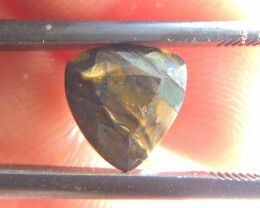 SPECIMEN REQUIRES MAGNIFICATION (LOUPE) IN ORDER TO FULLY ENJOY THE CRYSTAL STRUCTURES. 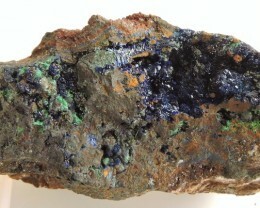 SPECIMEN COMES FROM THE FAMOUS ANCIENT LAVRIO MINES. 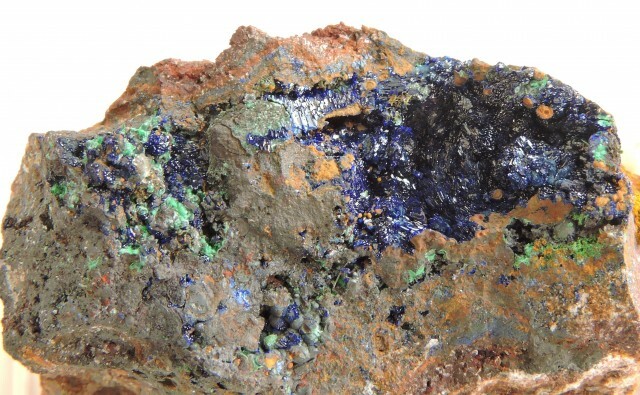 MOST OF THESE MINES ARE 2500 YEARS OLD AND HAVE A TOTAL LENGTH OF 50 KILOMETRES AND WERE BUILT ON SIX UNDERGROUND LEVELS. THE ENTIRE MINING SITE OF LAVRIO CONSTITUTES A NATURAL MUSUEM SINCE MORE THAN 265 MINERAL SPECIES CAN BE FOUND IN THE REGION. 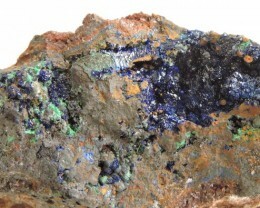 MOST OF THESE MINERALS ARE FOUND IN PRIVATE COLLECTIONS. LAVRIO HAS AROUSED THE INTEREST OF A LARGE NUMBER OF MINERALOGISTS AND AMATEUR COLLECTORS OWING TO BOTH THE VARIETY AND PARTICULAR BEAUTY OF ITS MINERAL SAMPLES. THE STORY OF HOW MINING BEGAN IN LAVRIO IS LOST IN THE MISTS OF EARLY HISTORY. MANY ANCIENT WRITERS AND ORATORS MENTION LAVRIO, INCLUDING AESCHYLUS, ARISTOTLE, DEMOSTHENES, LYSIAS, ARISTOPHANES AND STRABO. 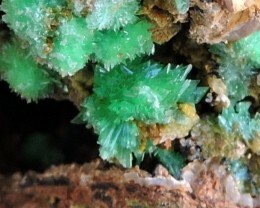 ACCORDING TO ARISTOTLE, IT WAS IN 483BC, WHEN THE RICH DEPOSITS OF MARONIA (PRESENT DAY KAMAREZA) WERE DISCOVERED. CUSTOMS : Buyers are responsible for any customs or duties which may be levied up on the importation into the buyer’s country.Payment and Credit Cards are accepted via PayPal ONLY. PayPal is the preferred method of payment as it is the fastest and safest for both the buyer and seller. No other payment method is available.